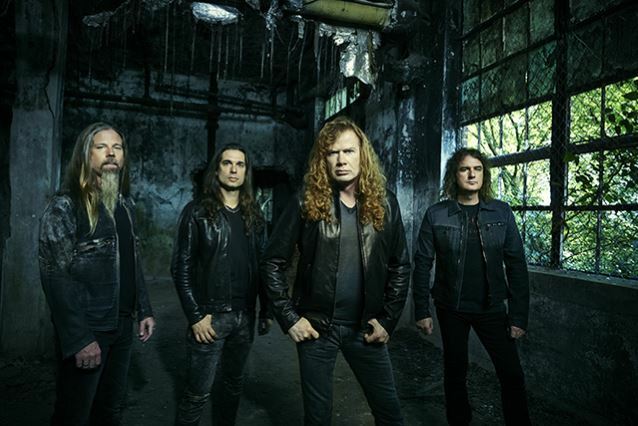 MetalRockNews: Megadeth's Dave Mustaine: "I love this band so much right now"
Megadeth's Dave Mustaine: "I love this band so much right now"
Megadeth's Dave Mustaine and Kiko Loureiro were recently interviewed by Rock N Roll Industries Magazine. You can read some excerpts below. About if there is any chance of him doing another side project similar to MD.45, his 1996 collaboration with FEAR guitarist/vocalist Lee Ving, Mustaine said: "No. I love this band so much right now. I have no intention and no desire to do anything right now other than tour and get ready for more music in the future. There's such a fun relationship that we have. Chris Adler and I have a great relationship. Kiko and Dave Ellefson and Chris all have a really great relationship, and to see everybody really getting along and liking each other and you're at this level... When you're at this level and you've got a superstar and you've got other stars in the band, there usually is egos and really weird problems, but we all have this real healthy understanding of our roles, and it works. We get together and it's, like, 'Hey. Hello,' hugging and stuff like that." He continued: "The other night in Mexico City, before we went on, Kiko and I were toasting a glass of wine before we went on stage. And I remember, with Chris Broderick, it would have to be his birthday for him to even have a beer. He wasn't an alcoholic; it was just he was into his own thing and we never really spent any time together. And I think that if you watch Chris's relationship with me, I haven't had a relationship with a drummer like that since Gar Samuelson was around. Gar and I were really close. All the other drummers that we've had in the band, they didn't play much except for drums, and I think because Chris used to play bass, he's got a little bit of a string-player mentality. 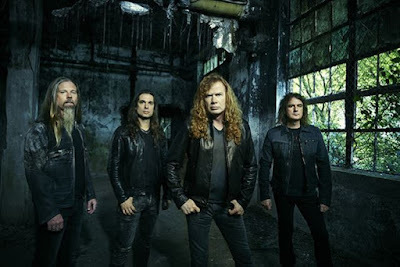 But he's also a leader, and Megadeth was his first love; he's always loved this band. So I think it's neat to see somebody who grows up loving the band in it, you know."